If you’re ever in the mood for Mexican, you don’t have to look very far here in Bossier! There’s a place around every corner to meet any craving you have. 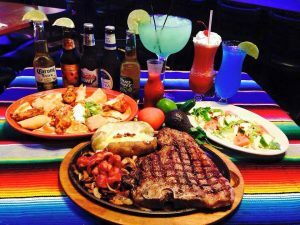 Check out this list of Mexican restaurants in Bossier. 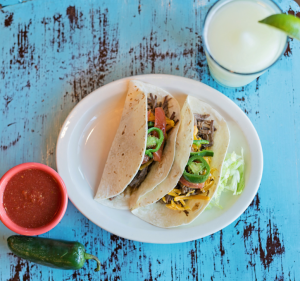 With a strong 4.7 out of 5 Google reviews and a whopping 4.9 out of 5 Facebook reviews, it’s safe to say that Taqueria San Miguel is worth trying out if you’re looking for a great spot for Mexican! Located in South Bossier right off Barksdale Highway, Taqueria San Miguel is a convenient location with a great family atmosphere. If you’re a street taco connoisseur, this is the spot for you. Customers often rave about their queso which is a huge hit! Luciano Monzon, the owner of Taqueria San Miguel, is a long term resident of Bossier City and decided to choose the area as his business location because of his familiarity. “I went to Parkway High School and I’ve been here for the last 20 years. I would say that we are very authentic compared to some Mexican restaurants around that aren’t,” said Monzon. In addition to the street tacos, he suggests trying the chimichangas, fajitas, and the Arroz San Miguel. “I’ve gotten several dishes from there and have loved all of them. They are very reasonably priced and their Happy Hour is the best,” said Casey Friday, a resident of Bossier City. 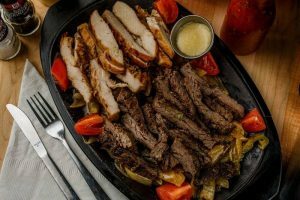 Fajitas are a very popular Mexican dish and it’s literally in the name here! Chimy V’s fajitas are a customer favorite. If you’re looking for a large restaurant to host a birthday dinner or family gathering, they have a lot of space! They also have plenty of TV’s throughout the restaurant that are great for catching the latest sports game. Frequent customers rave about the awesome service and atmosphere of the restaurant. Not to mention it’s in a great location right off I-20, so it’s perfect for anyone coming from any direction. If you’re looking for a delicious margarita to go with your Mexican dish of choice, then El Mariachi would be an excellent place for you! Their cocktails and mango margaritas receive great ratings from customers. With a strong 4.4 out of 5 stars on Facebook, you can trust that El Mariachi is here to deliver. With two convenient locations both in Bossier, you are sure to find a great selection of food with good service, and a fun place to eat with your family as its very kid friendly! Rigoberto Angel, the owner of El Mariachi, chose South Bossier for his restaurant location because of the strong community. If you decide to take a visit here, Angel suggests trying Combo Tejano or Alambre. El Jimador made its expansion from Shreveport to Bossier a little over a year ago and it has been a great addition to this growing city. Customers love the enchiladas, chips and salsa, and seafood options available here. It has a 4.4 out of 5 stars on Facebook, so it’s safe to say this place is worth a try! Be sure to try their shrimp street tacos and queso if you decide to eat here for authentic Mexican flavors and atmosphere! TaMolly’s is a great convenient stop for some Mexican food during a busy shopping day if you find yourself in North Bossier around Beene Boulevard! Bossier residents love their clean facility and attentive service. Want to try a shrimp dish with a unique twist? Try their customer favorite bacon wrapped shrimp! For an appetizer, try the Bob’s dip, a unique but delicious spin on traditional queso! They also have a private room available to reserve for your special occasion. No matter where you decide to stop for your next queso kick out of these restaurants, it’s safe to say you won’t be disappointed! With very caring owners and family friendly environments, you will be welcomed with fresh food, authentic ingredients and great service. Next Post:Lovin’ My Job in Bossier: Kurt Nixon, Main Squeeze Juice Co.